Toronto – March 18, 2019 – Dr. Bartha Knoppers, PhD, ADE, OC, OQ, FRSC, FCAHS, is one of the most prolific and innovative health policy researchers in Canada and beyond. She has been a leader in the interface of ethics and law, as applied to health research policy, stem cell research, human gene editing, biobanking and global data sharing. Bartha is also a brilliant science communicator and public figure, who gives generously of her time for social good. Dr. Knoppers is Professor of Medicine, Department of Human Genetics, with appointments in Law and Biomedical Ethics at McGill University and is also Director, Centre of Genomics and Policy at McGill University and Canada Research Chair in Law and Medicine (Tier 1: 2001- ). Dr. Knoppers obtained a BA in 1972 in French and English at McMaster University and MA in 1974 in Comparative Literature at U Alberta followed by LLB in 1978 at McGill University. Following additional graduate studies at University of Paris and Cambridge University, she obtained PhD at U of Paris Sorbonne in 1985. 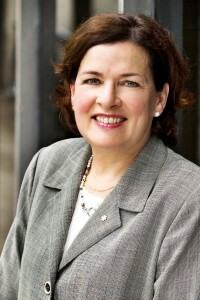 She was appointed Professor of Law and Medicine at Université de Montréal (1985-2009). Dr. Knoppers is a scholar of unrivalled productivity, who has made significant contributions to national and international policymaking and institution building. She led the ethics work of the HapMap (2003-04,) as well as the 1000 Genomes projects (co-ELSI Chair 2007-2010). From 2000-2006, she served on the Board of Genome Canada, became Chair of the Ethics Working Party of the International Stem Cell Forum (2005-2015), and member of the Interdisciplinary Scientific Committee of the International Rare Disease Research Consortium (IRDiRC) (2012-2017). She founded both P3G (Public Population Project in Genomics and Society) and CARTaGENE, Québec’s national biobank, in 2007. She was the Chair of the Ethics and Policy Committee of the International Cancer Genome Consortium (ICGC) (2009-2018), and Member of the European Union’s Governance Board for the Biobank Standardization and Harmonization for Research Excellence project (2011-2015). She was also a member of IRDiRC’s Task Force for the Matchmaker Exchange Project and Machine Readable Consent and Unique Identifier projects (2015 – 2018). Since 2013, she has chaired the Regulatory and Ethics Work Stream of the Global Alliance for Genomics and Health. In 2017, she gave the prestigious Galton Lecture (London, UK). The Henry G. Friesen International Prize in Health Research, established in 2005 by the Friends of Canadian Institutes of Health Research (FCIHR), recognizes exceptional innovation by a visionary health leader of international stature. The $35,000 Friesen Prize is awarded annually. Dr. Bartha Knoppers will deliver a public lecture in September 2019 and will also visit a number of Canadian universities and institutes in the following year. For further information on Friends of CIHR and the Friesen International Prize, please visit: www.fcihr.ca or contact: Cristina S. Castellvi.